ItemP001 - A Regiment of the Canadian Army. ItemP003 - Powassan Creamery Staff 1926. Item P004 - Rural church. 1 photograph : b&w ; 8 x 6 cm. 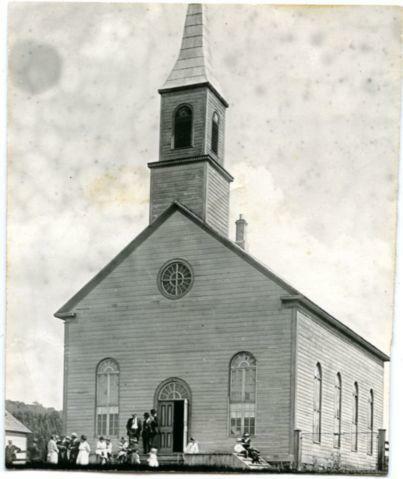 Photograph of an unidentified rural church with people gathered in front. Title based on contents of image.